Disclaimer: I received a copy of the book for review purposes. 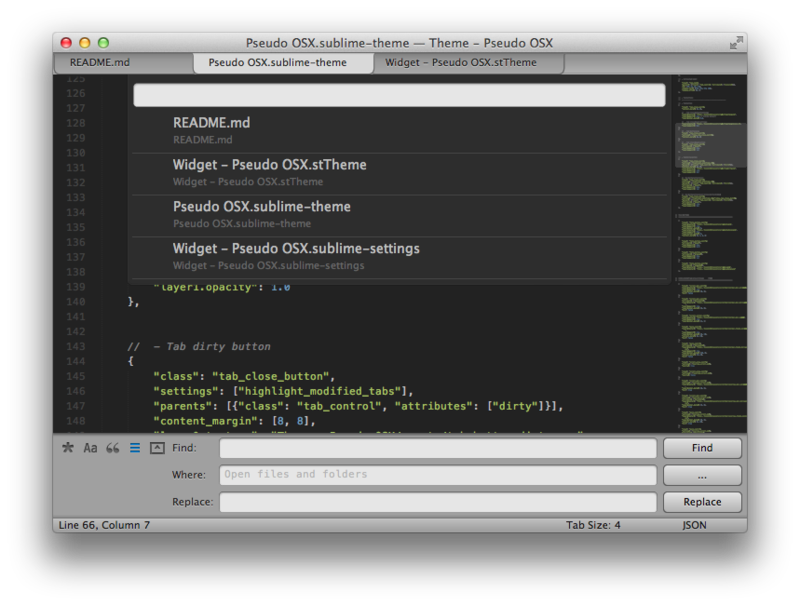 The book Instant Sublime Text Starter is another nice title from Packtpub. 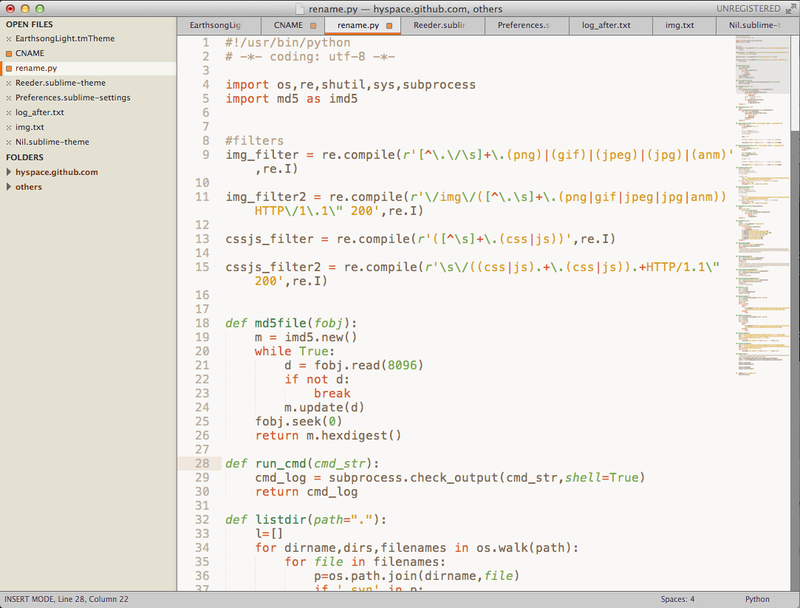 The book gets an user started with the Sublime Text editor with very simple instructions. The book starts with installation and covers all major platforms. Having used the various operating systems over the year, I’ve found the instructions more than adequate for Windows, Linux and Mac OSX users. The book highlights the common features of Sublime Text and provides a decent walk through. It also provides guidelines on where to go next to master the text editor. The book, as a starter is a very good one. 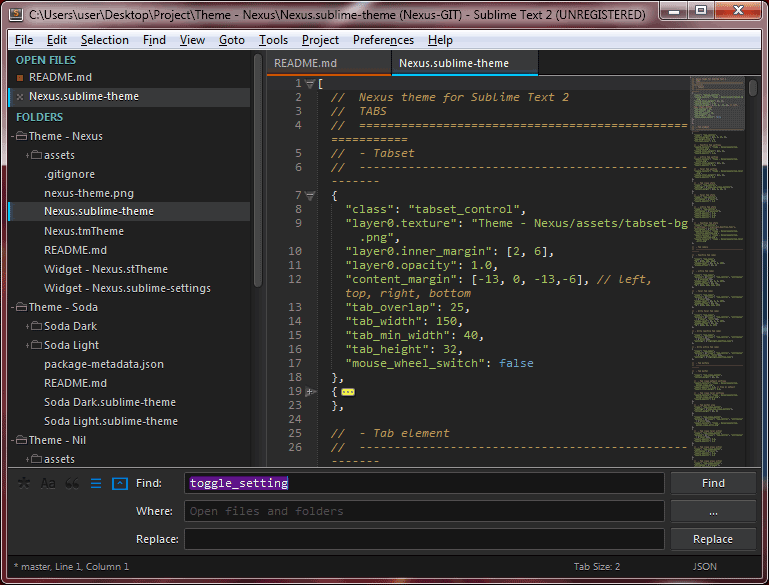 If you’re into building software, Sublime Text could be a useful tool. And this book would certainly help you start instantly. Tagging in Git: Why? How? Say, we have a class defined in one of the assemblies shipped with a third party solution. It would be a great help if you could add a helper method to one of the objects. Unfortunately, we do not have the source code. 🙁 What do we do? In such scenarios, .NET hasn’t left us alone in the desert 😀 The method extension technique will allow us to add our own methods to classes of our choice. Want to see an example? Take the List generics, every list of a generic type has some handy methods. Now we want to add one of ours. Printing each of the element in a list requires us to setup a foreach() loop every time. Why don’t we add an extension method named “Print()” which would print all the elements in a list – one by one? Let’s get our hands dirty! — To extend a class and add method, we must declare a public static class with some name. The name doesn’t matter at all. — We should define a method with our desired name in that class. — The first parameter to the method will be “this < Object_we_want_to_extend > parameterName”. Do not forget the “this” keyword. It is the magic wand that does the magic. — We can pass additional parameters. — When calling the extended method from the original object, the first parameter is not required to pass. You can ignore it as if it were never there. — For safety and security the extended method can not access private areas (fields, properties or methods). // Construct a list of "object" type. Setting the generic type to <object> will help us add all sorts of objects. // Halt the output until an enter is pressed. For a better examination of the output. // The method name is Print. We're extending a generic here, so make the method follow. I have been reading about data binding in windows phone 7 development and got curious about how .net implements the observer pattern. I spent some time understanding the flow and decided to write a blog post about it. .NET platform offers IObserver and IObservable interfaces to quickly get up and running with the observer pattern. We know the theory – there is an independent subject, a observable aimed towards monitoring that subject and some observers which are very keen to receive updates whenever something interesting happens to the subject. The observers know that the observable monitors the subject, so they subscribe to the observable for notifications. The observable accepts all these subscriptions, keeps them in a safe place. Then he keeps watching and watching. When something interesting happens to the subject, he quickly gets to the list of subscribers and then notifies them one by one. Compare this scenario to the day before Eid Ul Fitr. Tomorrow is Eid if we see the moon. Now, you have decided to go to the roof and keep waiting there until the moon pops up. Knowing this, some of your friends (who are so computer freak that they don’t even want to leave their PCs to watch the moon of Eid Ul Fitr) called you and asked you to notify them if you see the moon. Here the observable keeps watching for the subject, when the subject pops up in the sky, the observable calls the observers – that’s it, simply that’s the observer pattern. To implement this pattern, we define a Subject object. It has a counter. Every time you view the counter, it gets increased by one. We are doing this little magic to track any changes in the subject. Then we define the SubjectObservable object which implements the IObservable. It accepts a subject in it’s constructor. This is not mandatory but we did this to track the subject in a better fashion. It provides a Subscribe() method which is called by the observers to subscribe to the observers. The method must return an IDisposable object. We do a trick and create a custom object implementing the IDisposable interface. In the constructor we accept the list of observers recorded by the observable and the instance of the observer passed for subscription. In the Dispose() method we remove the observer from the observer list. So when the Dispose() method of the disposer is called, the observer is removed from the observer list. The observable will no longer send any notifications to the removed observer. The SubjectObserver is pretty simple. It has OnNext(), OnCompleted() and OnError() methods. The OnNext() is called by the observable to send the current state of the subject. Besides the abstract methods, we also define a constructor to accept a unique name instance and an instance of an observable to follow. When the OnNext() is called, we print out the current counter value of the subject. We also define a Dispose() method which shall invoke the Dispose() method of the disposer, removing itself from the observer list of the observable. Well, if all these theories seem too complex to you. Do read the codes below. I have tried to add relevant comments. If you have any feedback, please do make a comment. // Usually called when a transmission is complete. Not implemented. // Usually called when there was an error. Didn't implement. I use Git heavily as a DVCS. The scenario I often come across is when I have manually deleted a whole bunch of files from here and there. It becomes a mess if I have to “git rm ” on them manually – one by one. Thanks to Git, there is an easy solution. Issuing the above command automatically adds all changed files to the staging area. Cool, isn’t it? When I started into the world of .NET based web development, I often encountered the term “Entity Framework Code First” or “EF Code First”. Where as I could no where find the option to create “Code First” entities in the visual studio. 🙁 How disappointing! 😛 I could create ADO.NET Entity Data Model but that would create .edmx files which looked all cryptic to me! I was just beginning .NET and my background is heavily based on PHP and Python where nothing is “Visual”, we do it all in codes. And then after going through some of the resources online, I finally understood what’s going on. The ADO.NET Entity framework has two popular approaches – “Database first” and “Code first”. As the names suggest, in the first approach you write your models, generate databases, map the database with your models etc. Here database comes first. On the other hand, in the “code first” approach, you write plain classes which are identical to your database objects. Then following specific convention, you magically map the defined classes with the database. No need to write (I mean generate) complex xml maps or all those mess. While I agree that both the approach have their own benefits, strengths and all those positive things, I found the code first approach easier to get started as a novice. So how does it work? Let’s see! Remember those “virtual” identifiers are crucial. They have a lot to do with the magic that keeps things going. Another interesting thing to notice is that the Student object doesn’t derive from any other object. One thing to notice is that we must pass a database connection string to the DbContext class. In this case, I have a connection string defined in my configuration file and I am passing the name of the connection to the DbContext class. For some reasons, many Bangla Lion users are randomly not being able to consume many static contents from Google+. They are also not being able to download any email attachments from Gmail. What’s happening? Google serves their content from googleusercontent.com. Gmail attachments are also served from a sub-domain of this domain. For some unknown reasons we can not access that domain sometimes, sometimes we can. Just a few moments ago, when I complained to Bangla Lion customer care, the customer manager helped me fix the problem. What we did? 1) First we set no proxies. On my Firefox 5, I had proxies set to system proxies. Bangla Lion’s customer manager suggested that I should set no proxy or automatic detection for proxies. I changed it to no proxy. For this, I went to Firefox Menu > Options > Options > Advanced > Network > Settings (I am using FF5). 2) Then I went to “Network and Sharing Center” > “Change Adapter Settings”. I right clicked on my Bangla Lion connection (I am using the indoor device, so mine is a wired network) and selected “Properties”. In the “Networking” tab, I double clicked on the TCP/IPv4 entry. The dialog box I got, it let me define how my IP address and DNS addresses are obtained. I manually set the DNS Servers to: 4.2.2.8 & 4.2.2.2 . 3) I cleared my browser’s cache and everything was okay. To test things, I have restarted my router several times to see what happens when I am assigned to different IP address. Everything looks fine. 1) Make sure you’re not using any proxies. 3) Clear the cache and offline data. I am satisfied with Bangla Lion’s customer care, at least they put some people who knows something. When GP started image optimization, it was a night mare. +1 to Bangla Lion for their informative customer care service. It’s quite sad that Microsoft doesn’t ship a decent JSON parser with .NET, not even the latest .NET 4. If we look at the web, everyone uses JSON today. Without no out of the box support for JSON, I was having much troubles consuming different APIs Services. But just a few moments ago, I found the JSON.NET project on CodePlex. The library has cool Linq integration that makes JSON parsing easier.